Healthy and delicious treat for kids and adults! 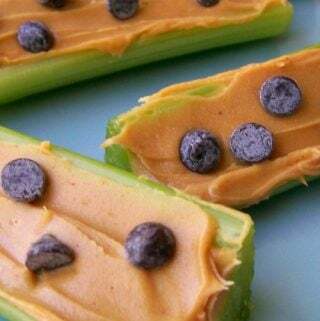 Spread peanut butter onto celery pieces. Sprinkle with chocolate chips or raisins if desired. Serve right away or keep in fridge until ready to use.